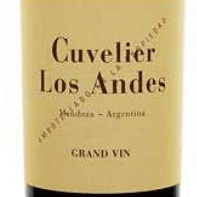 The Family Cuvelier owns Chateau Leoville Poyferre and has made a new Argentinian red wine called Los Andes Grand Vin Malbec which is a stunning wine. We can now supply it but we have a very limited quantity available of this wine. Location : Mendoza - Valle de Uco, Vista Flores, Tunuyá. Harvest : Manual in 12 kg boxes. twice, vats are filled by gravity and the maceration process begins. is required to complete the total process. Ageing : 100% in French oak barrels for 18 months. mineral side. The wine is flattering and powerful on the palate. It offers round and velvety tannins. Its finish is persistent.